When selling your house you should choose an estate agent who provides a full service and will achieve the best outcome. As the leading independent estate agents in Lincolnshire, we are in a great position to assist you; as a matter of fact we have won awards for our service. 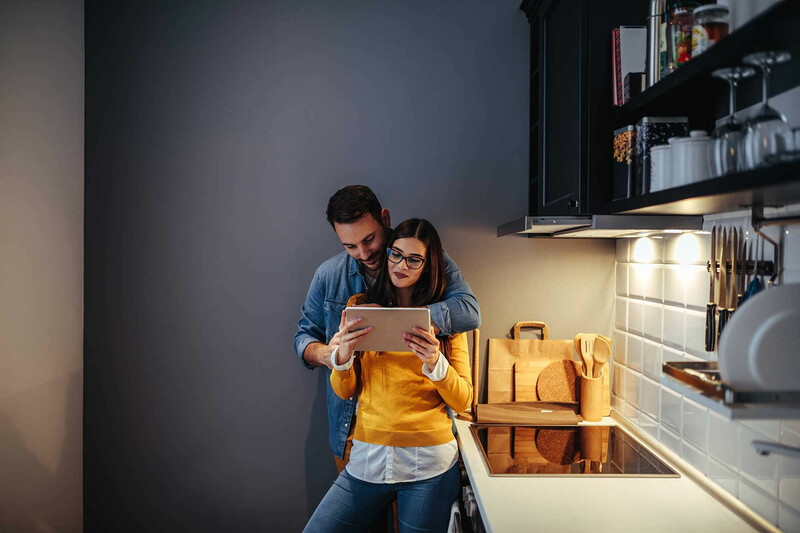 We focus on providing a high standard of customer service: simultaneously matching our buyers to homes, and achieving the best offers for our sellers. Our excellent reviews speak for themselves, it is only when a property has exchanged that we ask to be reviewed. Before you make the decision to sell your house you will obviously want to know how much it is worth. We can provide an accurate market appraisal of your property using our expert knowledge of the local property market. If you would like a free valuation of your home without obligation, then why not book your appointment online; at a date and time of your choice? Our fees generally reflect our service and your property, get in touch and we will be pleased to answer any questions. If you choose to instruct us to sell your home there is no lengthy contract and a no upfront costs option. Furthermore our marketing is of a very high standard with professional photography, and our cutting-edge 3D interactive walkthroughs really bring your property to life! We are particularly keen to maintain our service, and we are always available if you have any queries; we have a 24/7 telephone and live chat service, and High Street branches across Lincolnshire. Read on for further information, or get in touch today by phone, email, or live chat! Are you ready to sell, thinking of renovating/extending, considering remortgaging, or just curious? We understand that obtaining an accurate value of your property allows you to be better informed to make the correct decision. We’ve launched a new online valuation booking system so you can book your appointment online at a time convenient to you. Why use Pygott & Crone? Pygott & Crone have made a huge investment in improving the whole customer journey when selling or letting a property. This focus on service has been reflected in recent years with the company winning many major industry awards. The service we provide is measured by the satisfaction of our customers. Click on any of the videos for some of our client feedback, or visit our Feefo page to read independent reviews. Times have changed and so have auctions! It’s often the preferred route to selling quickly, with no estate agency fees and the peace of mind of a secure, easier process. Relocation Agent Network agents around the country have been carefully selected for your benefit. Whether you are in Bristol or Lincoln (or anywhere else), a Relocation Agent Network estate agent is able to help you. Network members are able to refer you to another selected Network member, to assist you in your buying and selling needs. In fact every month Relocation Agent Network estate agents help people move around the country by referring them to other Network members. Once you’ve instructed Pygott & Crone to sell your property, our in-house financial advisers are happy to provide you with free advice on the full costs of moving. They will research the entire market to find you the most suitable mortgage to suit your individual circumstances. Each of our branches has a dedicated financial adviser who will be happy to see you at a time convenient to you. Pygott & Crone’s customer service team are here to help you every step of the way. Once you have initially instructed us to sell your property they will contact you to ensure that you are happy with the service provided; and again upon completion of your sale they will review the performance of our estate agency team. All of our clients are given a dedicated valuer and negotiator to oversee the sale of their property. Once a sale is achieved our dedicated sales progressors will assist you through the legal transaction to completion. 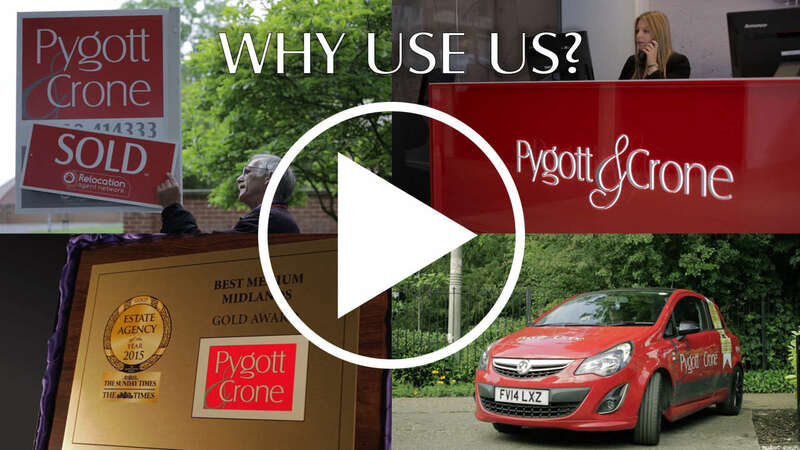 For those properties that are a little bit special, Pygott and Crone can produce a full HD film to showcase your property in the best possible way. Using modern technology and techniques, we will produce a professional standard film that will bring your property to life in a unique way. We will work closely with you to understand your property and you will even have the opportunity to appear in the film to discuss your property!